Tiles remain a favored flooring solution in many homes. They provide different benefits that you can’t get from other types of flooring. If you are planning to give your floor a beautiful and practical upgrade, it pays to consider installing tiles. Using tiled floors has many benefits. For one, they are a great way to make a statement with your floors. Tiles come in a wide variety of colors, shapes, sizes, materials, and textures that can drastically change the look and feel of your floors. The thing about a flooring upgrade is it affects not only the floors but the entire ambiance of your home. This means it’s possible to alter the theme of your abode and achieve your style by choosing the right kind of tiles. Versatility is another advantage that you can get from tiles. You can install them in your kitchen, bathroom, entryway, laundry room, and practically anywhere in the house. They are mainly a smart choice for bedrooms and areas that are prone to spills, dirt, and just about any wear and tear brought by daily foot traffic. Tiles also make a durable flooring option. Beautiful and stylish, tiles are also long-lasting and can withstand daily steps, stomps, and probably anything your busy family throws at them. 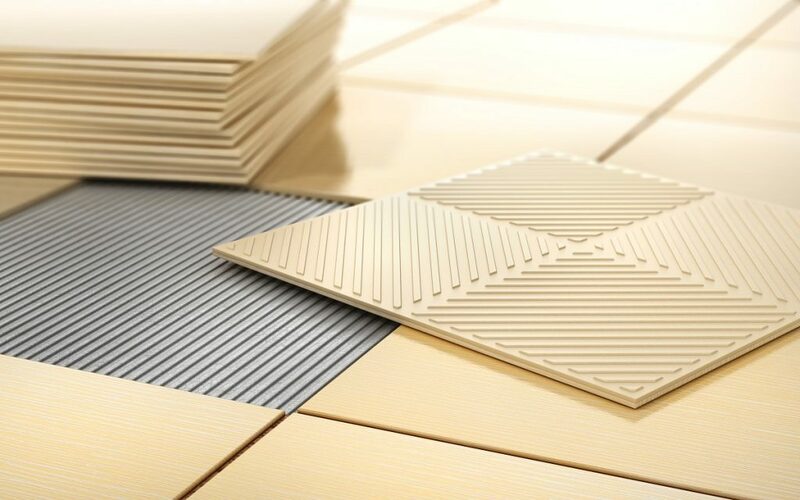 Ceramic tiles are the most popular type. Many homeowners prefer them because they are strong and durable. Also, they easily complement most types of interior décor. Gleaning from ceramic tile installers in Ottawa, ceramic flooring has higher abrasion resistance, so they are safe from unsightly scratches. Marble is another popular option. What’s good about marble tiles is that they come in many colors and finishes. As they are made from minerals and their colors are natural, their beauty rarely fades. You can expect them to remain immaculate for many years. One disadvantage, however, is that they can be a lot more expensive than other tiles. Another type of luxurious flooring, granite tiles are usually installed in upscale properties. They come in different colors as well. They are scratch-resistant and durable, but they might not be the perfect choice if you’re working on a tight budget. Wood tiles are also gaining popularity nowadays. You have plenty of options when you go for hardwood flooring. You can find them in different sizes, shapes, and finishes. The best thing about wooden tiles is that they have a natural charm that lends a warm feel to your house. The best advantage is that they expand and contract depending on the level of humidity inside your home. If you want to save money, ask your contractor about engineered wood. Onyx is another excellent tiling option. Its charms are similar to that of marble. It is naturally fragile as a stone, but when used as a flooring solution, it is manufactured with resin, mesh, or fiberglass to make it stronger. Onyx tiles are commonly used indoors. In the end, these are only some of your options when installing floor tiles. Learn more about your alternatives by consulting a reputable contractor.